The PSU student chapter of ACDA provides student leadership and educational opportunities in choral music education and performance. The chapter sponsors yearly attendance at national and regional conventions, and hosts on-campus activities related to the choral arts. Membership is open to all students. 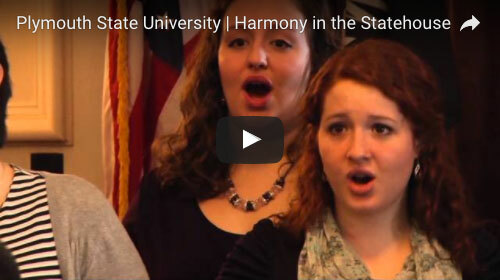 The National Association for Music Education Student Chapter #15 on the PSU campus concerns itself with professional matters of music education regionally, statewide and nationally. The Chapter arranges for programs and activities of interest for music students. It sponsors several events on campus in cooperation with the New Hampshire Music Educators Association. All Music Education majors are strongly encouraged to join. The Music Teachers National Association Student Chapter provides educational, musical, social and professional experiences that augment the student’s formal course of study. The Chapter presents programs and activities on campus for students throughout the year. The Chapter is also active in the NHMTA events. Membership is open to all students.